A piping hot beverage can be a welcome boost during your day’s work or a tantalising treat to offer to potential customers. Rickety old coffee machines and their suspicious brown products are a thing of the past and hot drinks vending machines now offer a range of fresh, hot drinks to satisfy even the most sophisticated of palates. 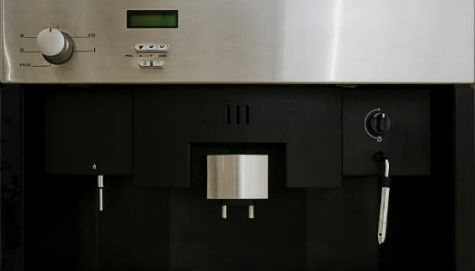 Single serve hot drinks machines like the Kenco Singles or Flavia machines make a single cup of tea or coffee at a time from a single-serving sachet. Usually free-vend, these machines can be fitted with a coin-operated module. They are suitable for workplaces or meeting rooms where they’ll be making up to 50 cups per day. In-cup hot vending machines offer a higher-volume solution for larger workplaces. They come in free-standing and table-top versions and are usually coin-operated but can also be combined with alternative payment methods like tokens, cards or fobs. The tea and coffee is of instant quality and is dispensed in disposable cups. Suitable for 50 – 200+ users depending on the size of the machine. Free-standing machines can also incorporate cold and carbonated water dispense and soup options. Bean to cup hot drinks machines use fresh ingredients to produce coffee shop quality teas and coffees. Beans are ground in the machine for deep flavours and rich coffee aromas in espresso, americano, cappuccino and latte varieties. Table top and free-standing versions are available with capacity for up to several hundred users. Finding the right way in which to purchase or rent your hot beverage vending machine is just as important as finding the right machine itself. Purchase involves a large initial outlay but does mean you can find your own supplies and restock the machine yourself. You can set prices for coin-op machines and keep the cash, potentially leading to savings in the long run. Lease purchase involves taking out a finance agreement over a fixed number of years, after which you’ll own the hot drinks machine. Again, this allows you to manage the machine yourself but you might pay extra in interest on the finance agreement. Rental of a hot drinks vending machine involves paying a fixed monthly fee for the equipment as well as purchasing supplies from a fixed supplier. Costs might also be quoted as price-per-cup whereby you pay in relation to how much you use the machine. Free on loan machines are provided free of charge upon signing an agreement to purchase a minimum amount of supplies from the vending company. Usually only available to companies with 50+ users. Pay to site vending machines are provided and managed by a vending company who pay you to place one or more machines on your premises in the anticipation of selling a lot of drinks. Only available to organisations with busy public areas such as hospitals, airports and schools. Whatever you decide on, Approved Index will find you a hot drinks vending machine to match your requirements. Just fill in our simple enquiry form to receive free, no obligation quotes from up to 4 hot drinks machine suppliers.